Red Belt "AUTHORISED ACCESS ONLY"
Red Belt "CAUTION - DO NOT ENTER"
Red Belt "DANGER KEEP OUT"
Yellow Belt "AUTHORISED ACCESS ONLY"
Yellow Belt "CAUTION - DO NOT ENTER"
Yellow Belt "ESD PROTECTED AREA"
Yellow Belt "OUT OF SERVICE"
Yellow Belt "DANGER KEEP OUT"
Retractable belt barriers are one of the most effective ways of controlling and managing queues of people in bustling areas such as train stations, airports, hotels, stadiums, shopping centres, banks, parks, theatres, public offices and even hospitals. These barriers help to control the flow of people in an orderly and disciplined manner, particularly during busier times. They’re also handy for cordoning off an area in the instance of an accident or emergency. Where can belt barrier be used? A lot of businesses and establishments need to deal with scores of people every day. 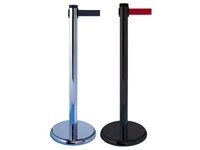 These places find it suitable to put up retractable barriers at their public counters. They help to get people walking in a queue and avoid a misunderstanding between patrons so staff can carry out their work without being disturbed. 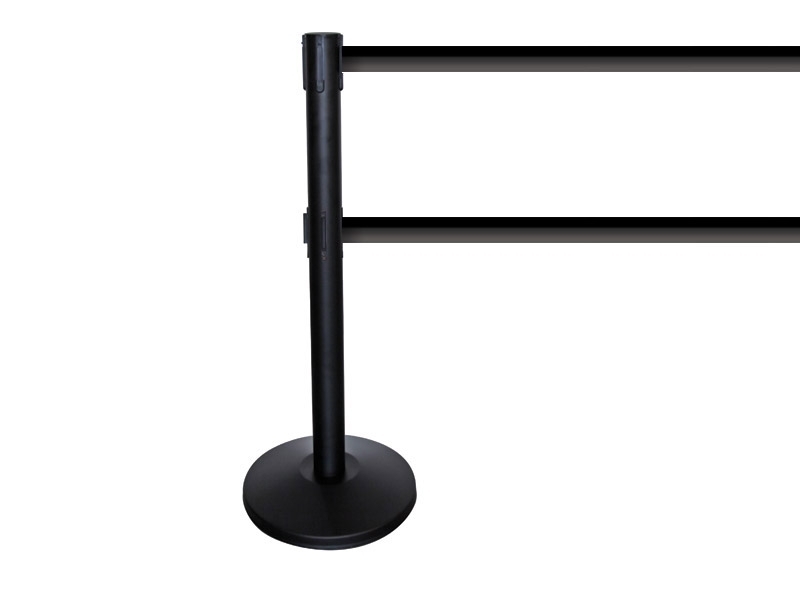 Barriers can be used anywhere where crowd control is required from concerts and theatres to checkout counters, school cafeterias, expos, trade shows, cinemas and more. Who might use a belt barrier? Anyone who wants to control a crowd and keep people out or VIPS in will find a belt barrier effective. The product takes up little to no space and works to help crowds form orderly queues in busy areas such as ticket offices, office canteens, and retail store checkouts. Barriers also work to surround a red carpet at a hotel entrance giving a sense of importance to guests. 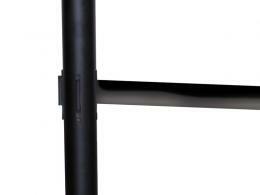 The belt barriers are from The Workplace Depot are available in black and measure 3.6 meters in length. Ideal for queues and crowd control, the barriers have a 350mm diameter concrete base and the post measures 1015 high x 63mm in diameter. 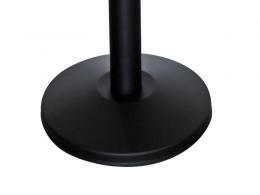 The post is black with an anti-finger mark finish and weighs a total of 10kg. This belt barrier offers 4-way connectivity. Order today for free next working day delivery. All items have a 1-year warranty on parts and labour.